Dr. Trevor Russell is a Professor and acting head of Physiotherapy at the University of Queensland. He is founder and co-director of the Centre for Research in Telerehabilitation and the UQ Telerehabilitation Clinic. 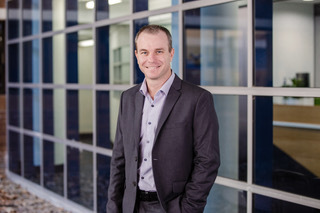 He is a chief investigator on the NHMRC funded Centre of Research Excellence in Telehealth. His primary research interests include the validation of rehabilitation assessments and treatment interventions performed at a distance via mobile technologies and telecommunication tools. His research encompasses both clinical service provision and teaching and learning domains and his work includes some of the earliest in the field of telerehabilitation. While at UQ, Trevor developed the eHAB telerehabilitation system which has been commercialised through the startup company, NeoRehab. eHAB is used both nationally and internationally for telerehabilitation service delivery.